It’s Saturday afternoon and you’ve got two hours to spare. 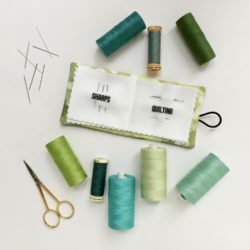 You head to your sewing space to get started on a new project but you’re just not sure if you’ll have enough fabric (or time) for your crafty endeavors. 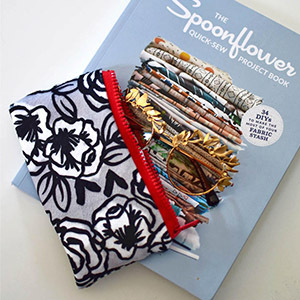 Enter The Spoonflower Quick-Sew Project Book. 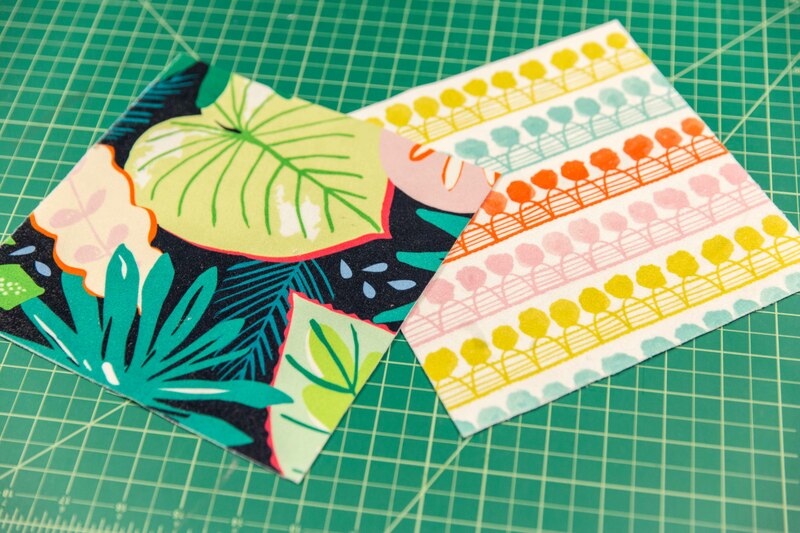 Whether you have a swatch, fat quarter or an undisclosed amount of fabric that you’d prefer to not share (we promise this is a judge-free zone! 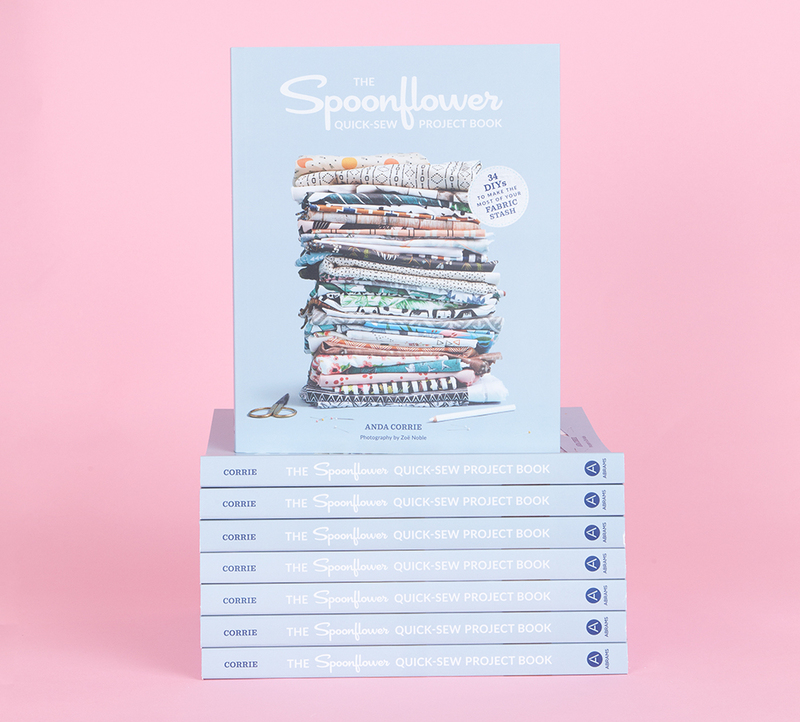 ), our newest book written by Spoonflower designer Anda Corrie will help you bust through your fabric stash, one project at a time. 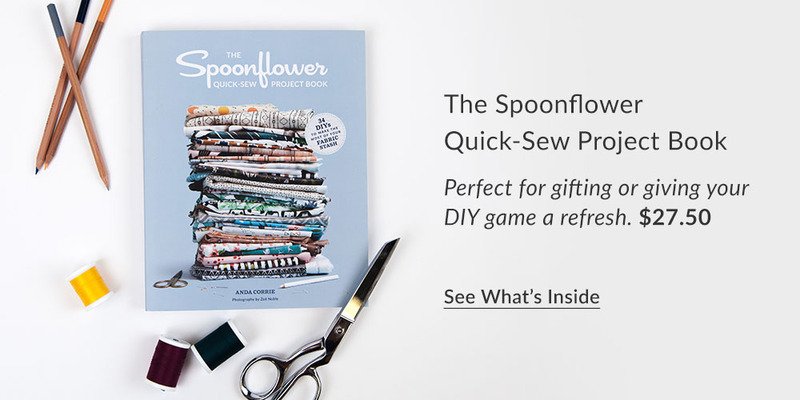 If you’ve mastered the art of design with the The Spoonflower Handbook, The Spoonflower Quick-Sew Project Book is what your collection needs. 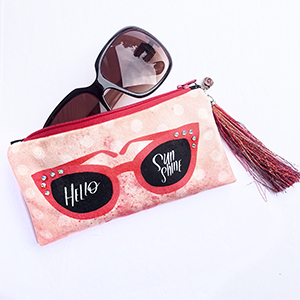 Today we’re highlighting one of the 30+ stash-friendly projects featured in the book, the DIY sunglasses case. 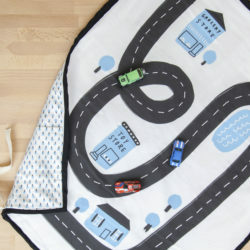 There is a lot you can make with an 8″ square of fabric and this project takes just two of them. 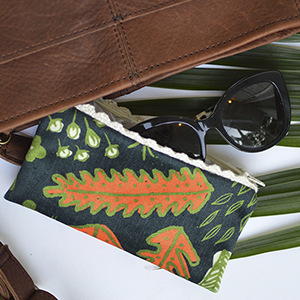 When we’re out of ideas but itching to sew, we always turn to zipper pouches. 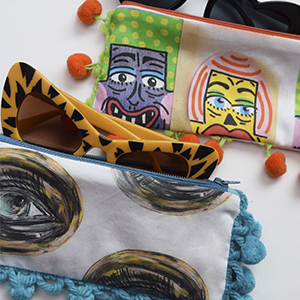 We love them for all the possibilities of fabric, shape and construction–not to mention print/zipper/lining color combinations. 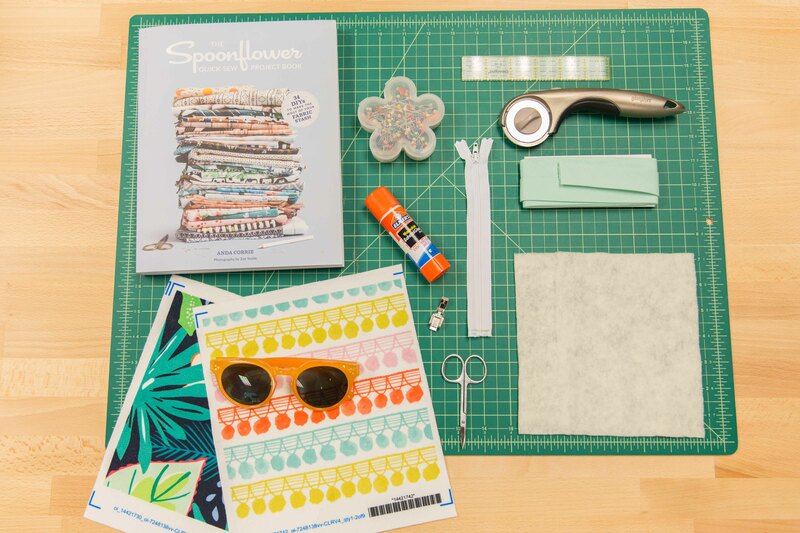 Be sure to check out the nine ways you can customize your case with some help from the Spoonflower community. 1. Trim the selvage of the swatches until you have two 8″ squares. 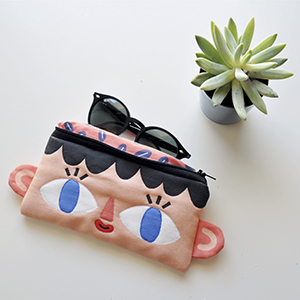 Cut the lining fabric in half so you have two 8″ wide x 4″ tall rectangles. 2. 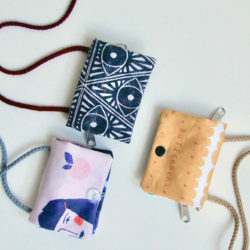 We often cover the ends of zippers in tiny purses with bias binding so they look nice and neat without any effort later. 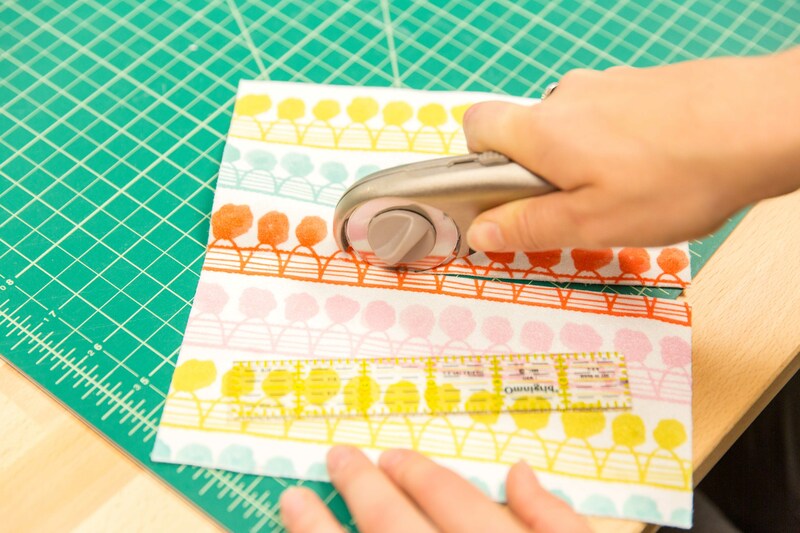 To do this, cut your bias binding into two 1.5″ lengths. Unfold one side of the bias tape and align the unfolded edge with one end of the zipper (right side down, against wrong side of zipper). 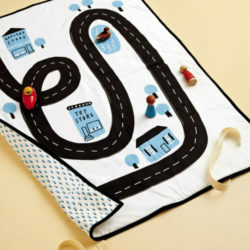 Stitch straight along the fold. 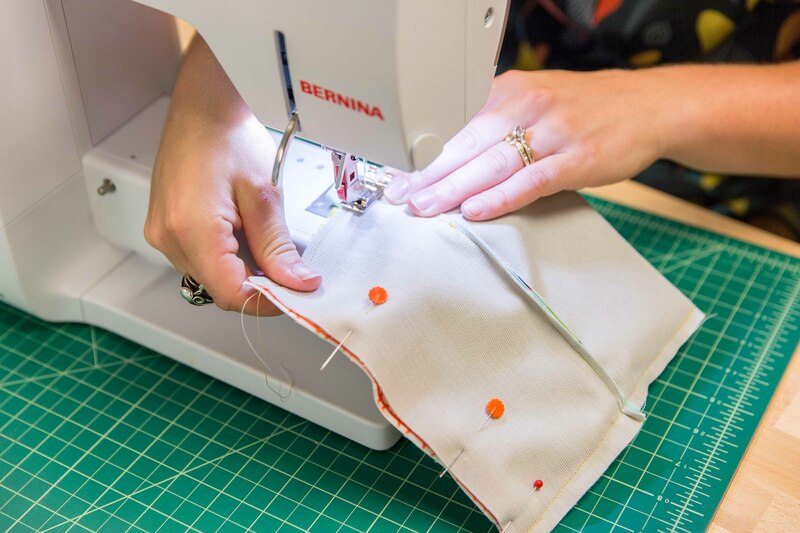 You’ll probably want to hand crank your machine past any teeth to avoid breaking a needle, although we’re usually using nylon zippers and just zoom over capriciously. 3. Wrap the bias tape around the end to the front side of the zipper and, using your machine’s zipper foot, topstitch the bias tape down again, going slowly or hand cranking over the teeth. Repeat on the opposite end of the zipper to seal up the edges neatly. 4. 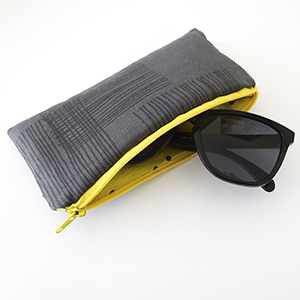 Fold the outer fabric in half with right sides together and press. Unfold and place one side of the zipper face down against the right side of one long edge of the fabric. Place one half of the lining fabric right side down on top so the zipper is sandwiched between the two fabrics, lining up all raw edges, and pin. 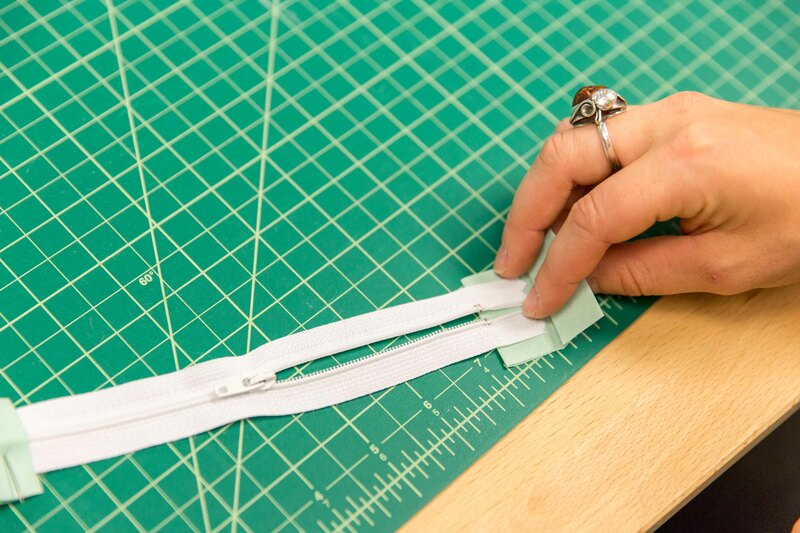 Use a zipper foot to stitch 1/4″ from the edge. 5. Open up the fabric so the zipper is poking out between the two pieces of fabric (now wrong sides together) and press. Refold the outer fabric and line up the opposite side of the zipper face down on the right side of the fabric, then pin the second lining piece with right side facing inward to the zipper and outer fabric–the side you’ve sewn in the last step will also be between the two fabrics. Sew 1/4″ from the edge with a zipper foot. 6. Make sure all pieces are right sides together with the zipper attached in the middle. 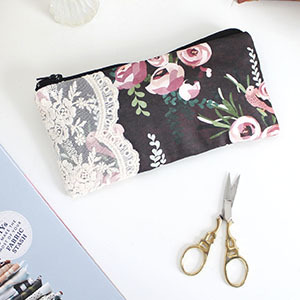 Open the zipper up, pin the lining sides together and the outer fabric sides together, and stitch a 3/8″ seam along the long sides. 7. Turn everything right side out through the opening at the zipper, so the outer fabric is on the outside, but leave the lining poking out of the zipper. Reach in with the glue stick and run it lightly over the wrong side of the outer fabric–this bit of glue is going to help hold the batting in place. 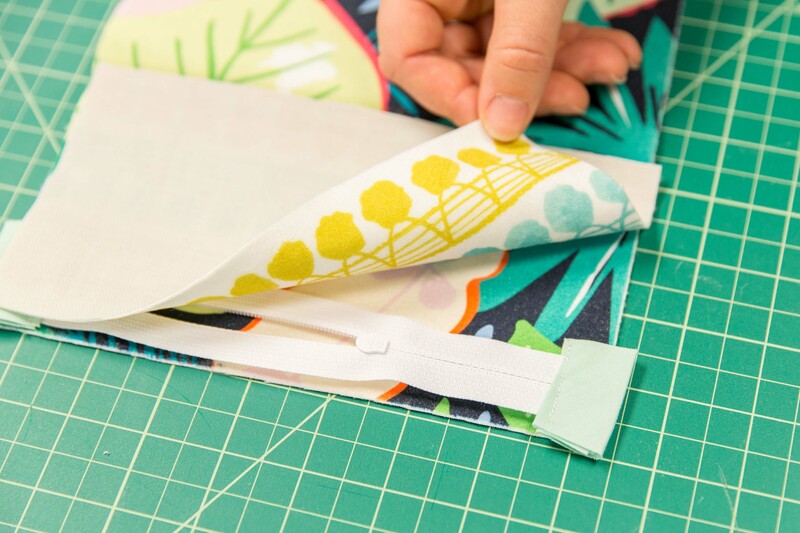 Take your 7″ square of craft foam or batting, fold it in half, and tuck it into the pouch past the lining, pressing gently so it sticks to the glue. 8. 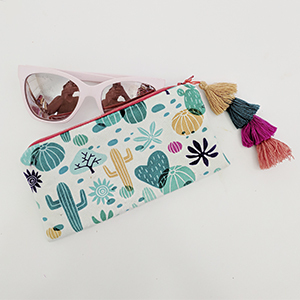 With the lining still hanging out of the top through the zipper, sew the bottom of the lining closed with a straight stitch, trim the seam, and tuck the lining back into the pouch, enclosing the batting. 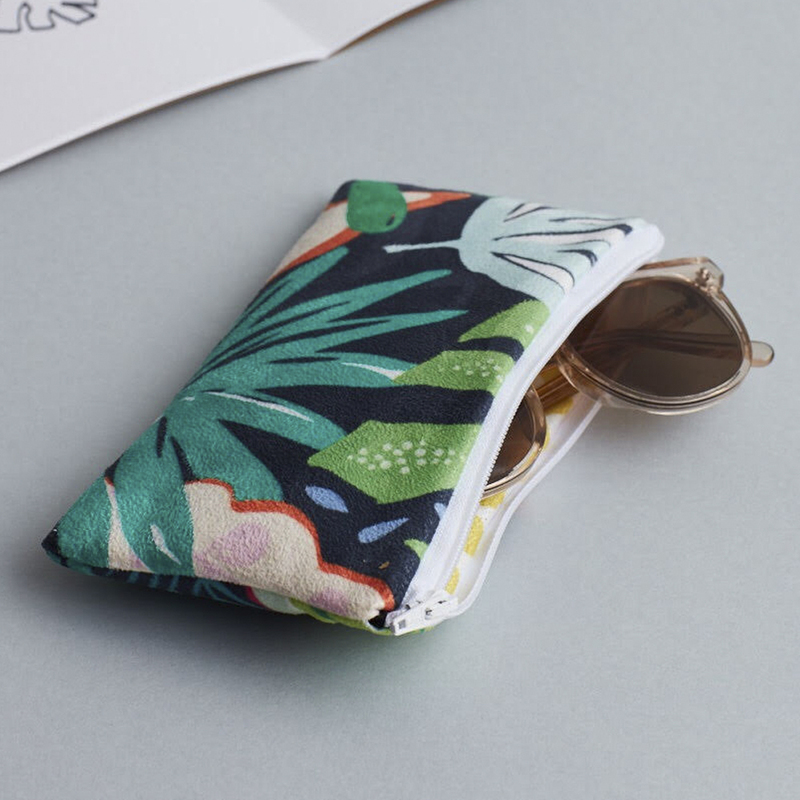 We challenged nine community members to customize their sunglasses case! 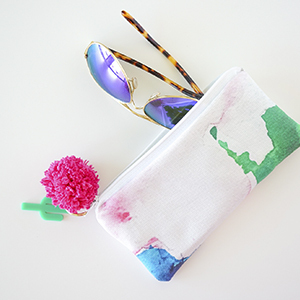 Click on each photo to see how they made their case one-of-a-kind and shop the featured designs here.